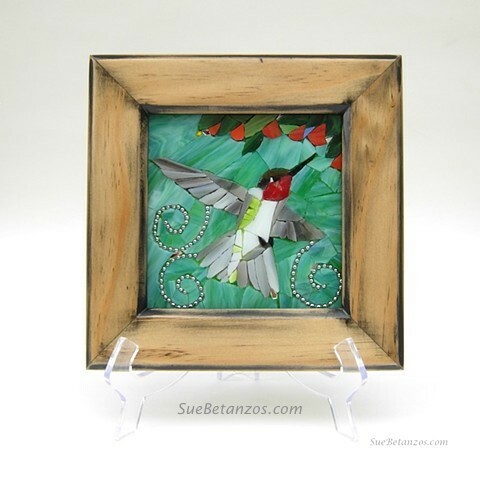 A Little gem of a hummingbird in stained glass mosaic to accent your home indoors. Although this one is sold, one can be made just for you. Each glass mosaic is handmade and slightly, different and unique.